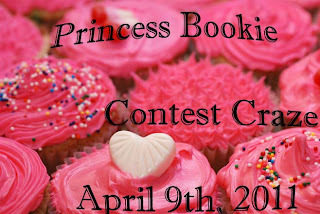 As most of you know, Contest Craze is from March 9-April 10th I am busy preparing for it! It takes tons of time! Contest Craze is a bunch of Contests here at Princess Bookie for all of us book lovers out there! Contest Craze also includes the Recreate a Cover contest AND mini challenges! If you want feel free to steal my button and put it on your blog! If you are an author and want to donate, please contact me.